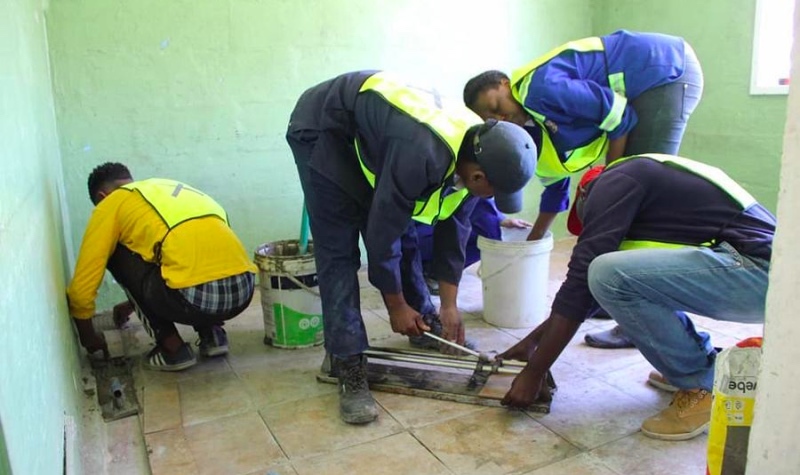 The young people were trained in plastering and tiling through the Metro’s Enterprise Development Unit. Siyasanga Mkonwana, BCM Programme Co-ordinator said that the programme targeted a skills shortage crisis among youth in the Metro. As part of practical training the group refurbished a house in Duncan Village and also in Peffersville respectively on Thursday, 04 October.